Asia Pacific Superyachts (APS) was proud to be among the carefully integrated sponsoring partners affiliated with one of the most prestigious superyachting events in the world, the Asia Superyacht Rendezvous held December 16-18, 2015 in Phuket, Thailand. The annual invitation-only event held next to picturesque Kata Noi Beach (among the top ten of travellers’ choice of beach in Asia) saw attending yachts anchored in beautiful Kata bay, with a jetty provided for a short hop to Kata Resort, the event’s award-winning venue host. The most widely attended event of power and sail Superyachts in Asia, the elite gathering is provided by organisers and sponsors who care about delighting those attending with a laid-back first class sociable event. A first-time ‘fleet blessing ceremony’ in Thai-Buddhist style kicked off the first race day following a glamorous opening night cocktail party aboard a superyacht. Two days of relaxed but highly competitive racing ensued with fun for all on tap, ending with a VIP dinner on the lush grounds of Kata Resort. Each day offered carefully crafted activities from the organisers and plenty of opportunities for superyacht owners, captains and crew to share cruising experiences. Asia Pacific Superyachts is proud to be a long time sponsor of this unique event in Phuket, custom designed to help celebrate, discuss, learn, and be inspired by the innovations and experiences of some of the world’s top Superyachts arriving from distant locations during the holiday season. The Rendezvous stands out because of how well it caters to its special audience: Superyacht owners, captains and crew. The Rendezvous was well attended, well covered and lives up to its goal of being an event to be relished by the elite community of world superyachts. The Rendezvous also provides a base after the event (or before) for those Superyachts staying on for a holiday of cruising the Andaman seas, with some venturing on to new cruising options such as Myanmar (Burma). Checking in with captains and other sponsors, everyone found something they loved. We at APS want to share our experience through the eyes of a few of the captains in attendance. 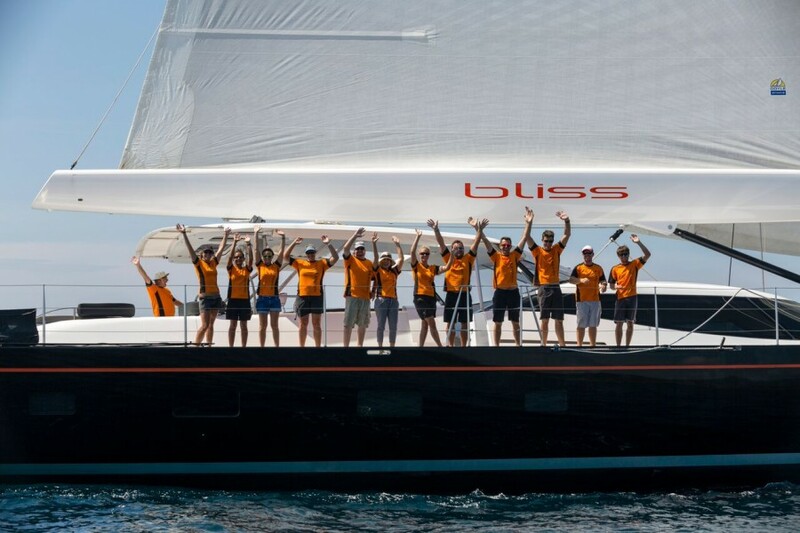 Among the captain’s commenting on the Rendezvous was Captain Roel of attending Yacht S/Y Lady Thuraya: “After a long and beautiful sail from Greece to Thailand going straight into the Asia Superyacht Rendezvous we had a very warm welcome from the organization and all the other participants. Great to arrive in a country and be able to meet a lot of people in the industry the first days after the arrival. Captain Morgan Hayes of the attending Yacht S/Y Arabella, shared his thoughts: “Coming on the back of a hectic but rewarding King’s Cup it was reassuring to find a relaxed and well organized atmosphere at the Kata Rocks venue. The Rendezvous team could not have been more accommodating and professional and the Kata Rocks Resort management also could not have been more helpful, it is a fantastic development just made for hosting yachting events. And finally, closing thoughts from Principle Sponsor Feadship’s Bas Nederpelt: “As Commercial Director of Feadship I have had the pleasure to attend the Asia Superyacht Rendezvous since 2007. Thanks to the beautiful ocean, the lovely Thai people and the top notch resorts such as Kata Rocks I again enjoyed attending the Rendezvous.